These are the foundational core values and beliefs that everything at Harvest is built on. What would your life look like if Jesus were living through you? We are all called to live this life. It’s a Life based on a mission of hope, forgiveness, and impact. We believe the Bible is the Word of God and our lives simply work better when we center everything we do around the truth it reveals in Jesus. 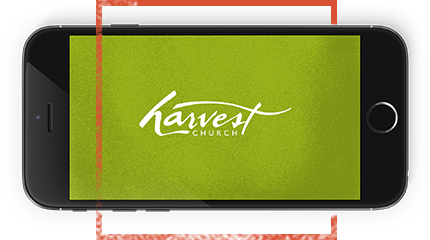 We strive to be the kind of church that makes a real, practical difference in the lives of the surrounding community, whether they attend Harvest or not. No matter where we are today, there’s always something more—a next step—that God is inviting us into. We learn and grow and change … together. Jesus came to deliver good news … and He was certainly not afraid of a good party. Living Life as though He is living through us is fun! And it’s never boring. Our beliefs are at the heart of what makes us who we are. These aren’t just concepts or ideas, though. They express what we believe to be true and real about God, the world He has made, and where we fit in all of that. They help us live the Life God created us for. that the Bible is the verbally inspired Word of God and without mistakes as originally written. It is the complete revelation of His will for salvation and the only unfailing rule of faith and practice for the Christian life. in the deity of Jesus Christ; His miraculous conception by the Holy Spirit; His virgin birth; His sinless life; His substitutionary death on the cross; His bodily resurrection; His ascension to the right hand of the Father; and His personal, imminent return. in the bodily resurrection of everyone who has lived, the everlasting life with God for those in right relationship with God, and the everlasting punishment of those who have rejected God's forgiveness in His Son.